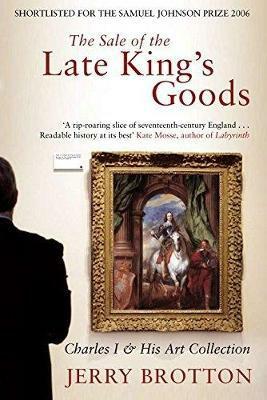 Set against the backdrop of war, revolution, and regicide, and moving from London to Venice, Mantua, Madrid, Paris and the Low Countries, Jerry Brotton's colourful and critically acclaimed book, The Sale of the Late King's Goods, explores the formation and dispersal of King Charles I's art collection. Following a remarkable and unprecedented Parliamentary Act for `The sale of the late king's goods', Cromwell's republican regime sold off nearly 2,000 paintings, tapestries, statues and drawings in an attempt to settle the dead king's enormous debts and raise money for the Commonwealth's military forces. Brotton recreates the extraordinary circumstances of this sale, in which for the first time ordinary working people were able to handle and own works by the great masters. He also examines the abiding relationship between art and power, revealing how the current Royal Collection emerged from this turbulent period, and paints its own vivid and dramatic picture of one of the greatest lost collections in English history. Jerry Brotton is Professor of Renaissance Studies at Queen Mary University of London. He is a regular broadcaster and critic as well the author of Renaissance Bazaar: From the Silk Road to Michelangelo, The Sale of the Late King's Goods: Charles I and his Art Collection (shortlisted for the Samuel Johnson Prize for Non-Fiction and the Hessell-Tiltman History Prize) and the bestselling and award-winning A History of the World in Twelve Maps, which has been translated into twelve languages. He lives in London and Oxford.